Share the post "DAVID ELLEFSON: No New MEGADETH Album Before 2020"
MEGADETH hasn’t released any fresh music since 2016’s “Dystopia” record, whose title track won a Grammy for “Best Metal Performance” at the 2017 ceremony. 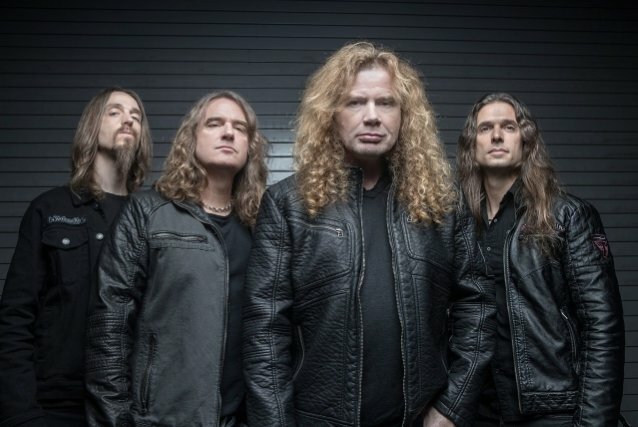 MEGADETH‘s next LP will be the first to feature Verbeuren, who joined the band nearly three years ago. “Dystopia” was MEGADETH‘s first album with Loureiro, who was previously best known for his work with the Brazilian metal band ANGRA. MEGADETH‘s “Warheads On Foreheads” compilation was released on March 22. The disc features 35 remastered tracks selected by Mustaine. MEGADETH‘s first-ever MegaCruise aboard the Norwegian Jewel will set sail on October 13 from Los Angeles, California and hit ports of San Diego, California and Ensenada, Mexico before returning on October 18.